What is the best thing about your Grange? Every Grange has its’ strong points. 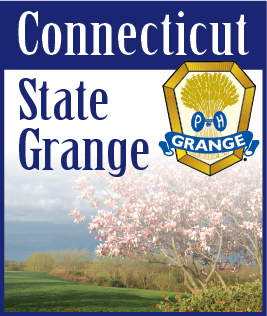 Each Grange is different. Some have great dinners. Others have card parties or an active Community Service program. Were you in the service? Then perhaps you appreciate all that the Granges do for our troops in harms’ way. Whatever your Granges’ strong point is, it is what makes your Grange special. Tell us about it by entering the 2014 Essay Contest. It is entitled “What I Like About My Grange”. It should be 150 words or less and needs to be sent to me by October 1. And, don’t procrastinate. This is the last year for this title. I just got my Granger today and read what I wrote a month ago. Guess it was wishful thinking when I said “Old man winter has kept me from visiting a few Granges. Hopefully the warmer weather that should be coming will make for better traveling and eliminate the need for canceling meetings.” Hold that thought. Spring has got to get here pretty soon. See you around the State.